The weather is heating up! 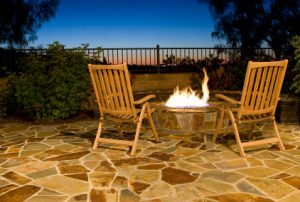 Before spring turns to summer, there are a few easy things you can do to help take your landscaping to a whole other level. At Blooms Landcare, we are always happy to give you tips and tricks for turning your outdoor living space into something special. 1. Old furniture? No Problem! If you have an old wooden table that you thinking of tossing, think about repurposing it for the outdoors. A quick paint job with some weather-resistant paint can serve for a great gardening table or even as a new table to hold drinks and snacks for those summer nights spent outdoors. Old dressers or shelves can be a great way to store gardening tools, seeds, and insecticides. Up-cycling can be a great way for you to turn something old into something useful and exciting. 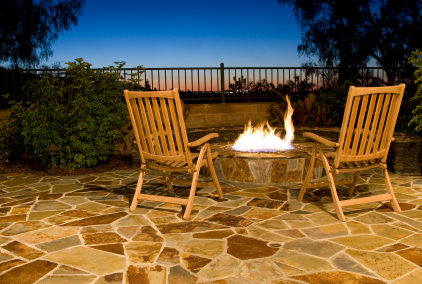 Stone walkways are a great way to liven up your yard without breaking the bank. The price for a path can vary depending on what you are willing to spend, but there are so many choices that they can fit within any budget. If you are looking to improve your landscaping this spring, call Blooms Landcare, at (817) 688-5352.